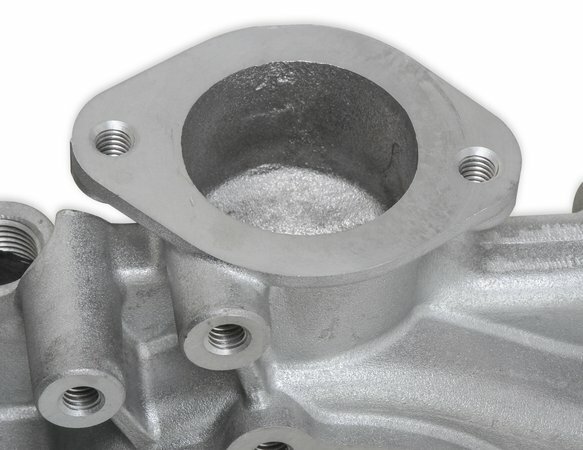 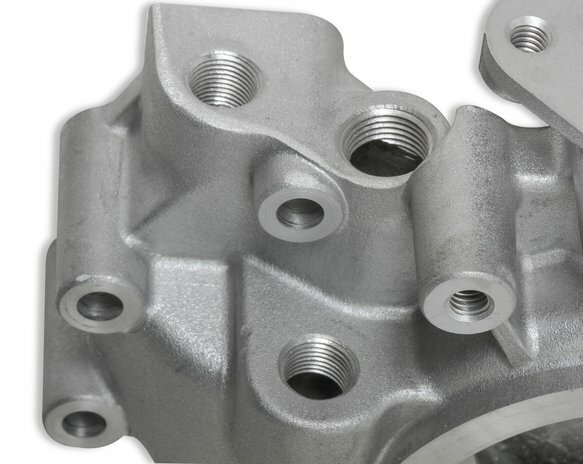 Mr. Gasket performance cast aluminum water pump housing saves over 8 pounds compared to a stock cast iron housing. 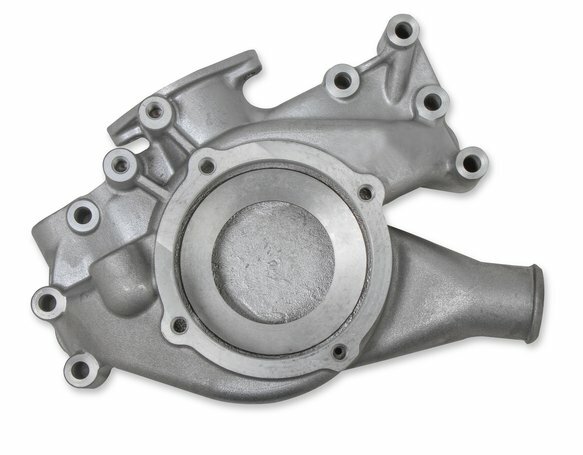 Has alternator bosses cast in for early and late alternator brackets. 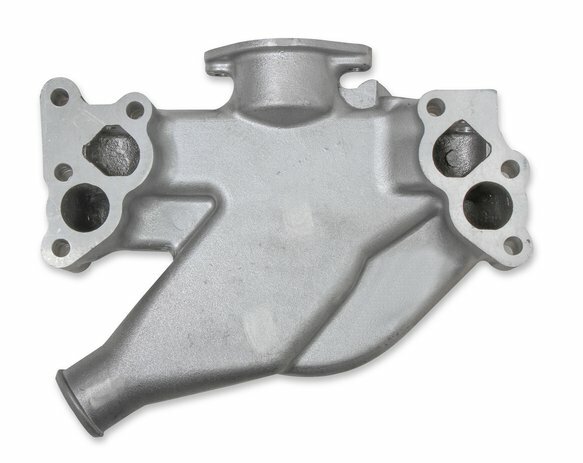 Lower hose exits on left (driver's) side. 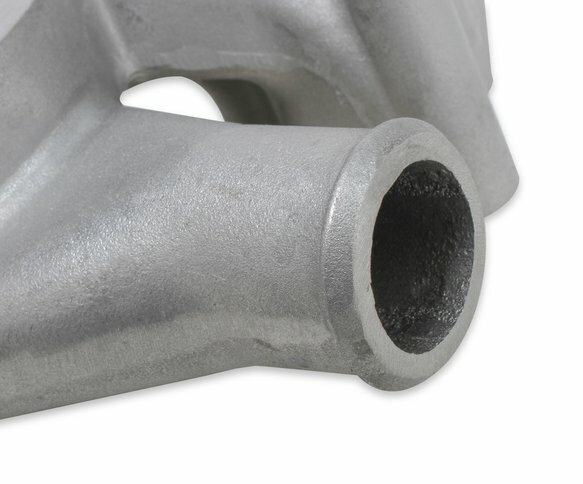 Natural as-cast finish.